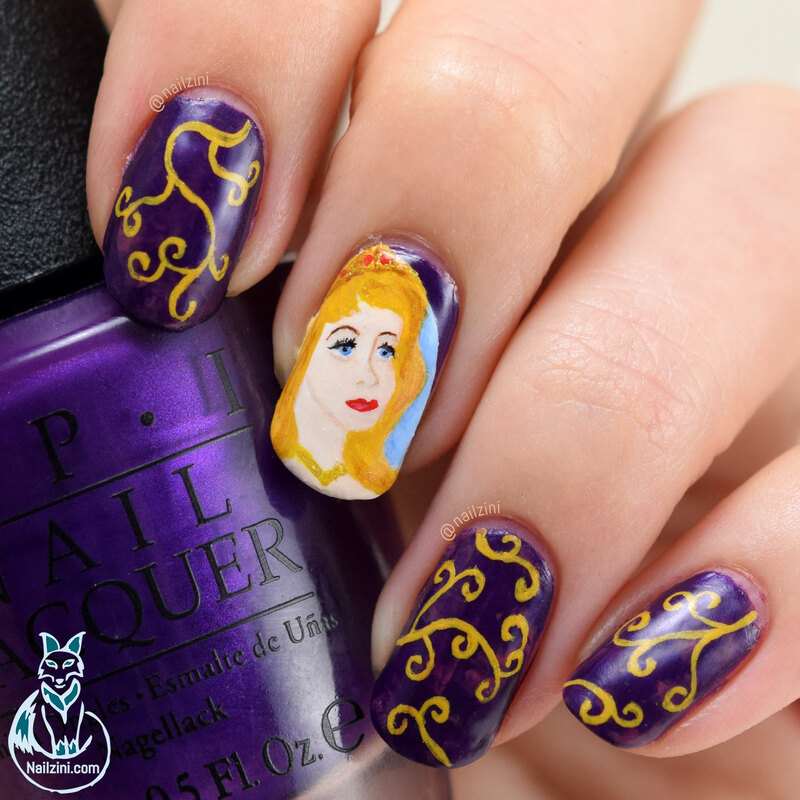 It's week 2 for the Disney villains vs princesses challenge and this time Aurora is up. 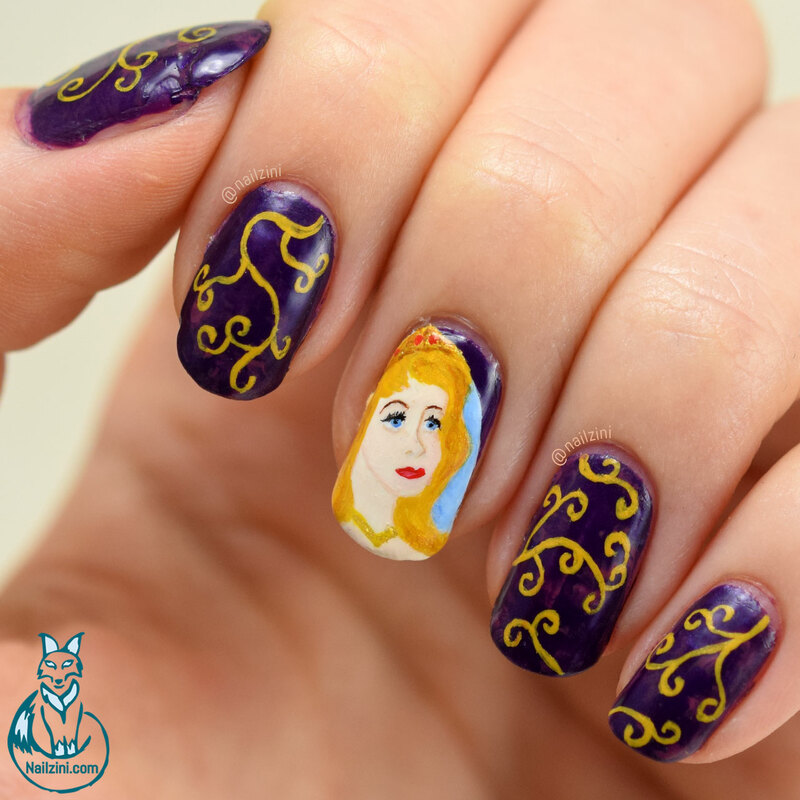 When rewatching the movie I noticed the gorgeous design on the canopy while she's sleeping and decided I needed it on my nails. I'm so glad I went with this pattern because I'm in love with how it turned out! 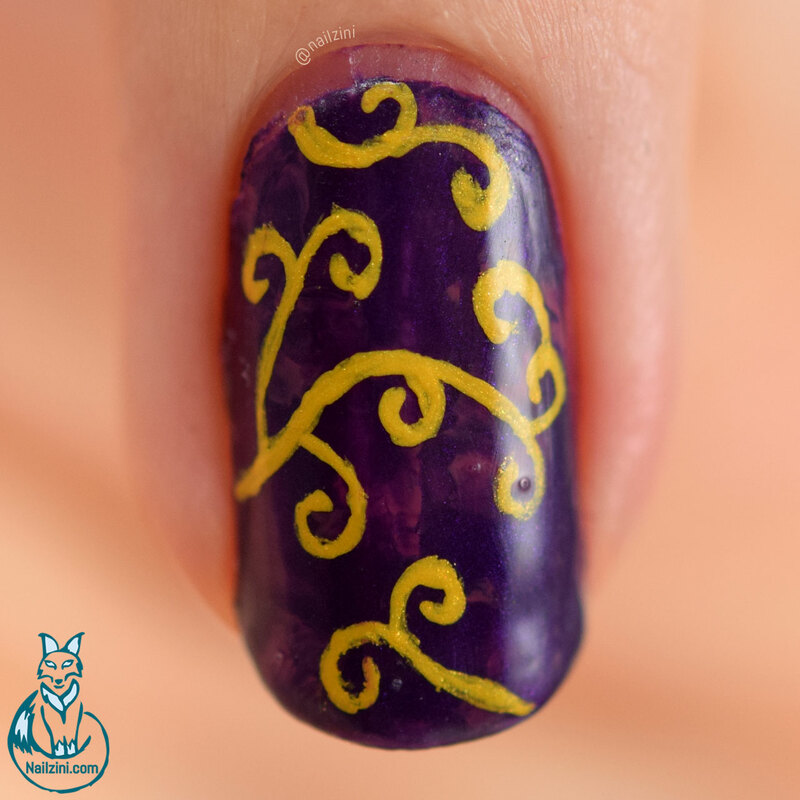 The design is hand-painted using Jo Sonja's acrylic paint, Amsterdam acrylic paint, and my 3/0 Raphael Kolinsky brush. I also used a small flat brush from ebay to paint the background white and for painting her skin. For the swirl design I first applied one coat of "I Carol About You" by OPI. Then I smooshed a combintion of "317 Dark Antique Pink" by Kiko Milano and "I Carol About You" by OPI on top. To make the smoosh you need to put a couple drops of both polishes on a stamper, I used mostly "I Carol About You" and only a little of "317 Dark Antique Pink". Make sure to apply some liquid latex around you nail because smooshing like this can get very messy! 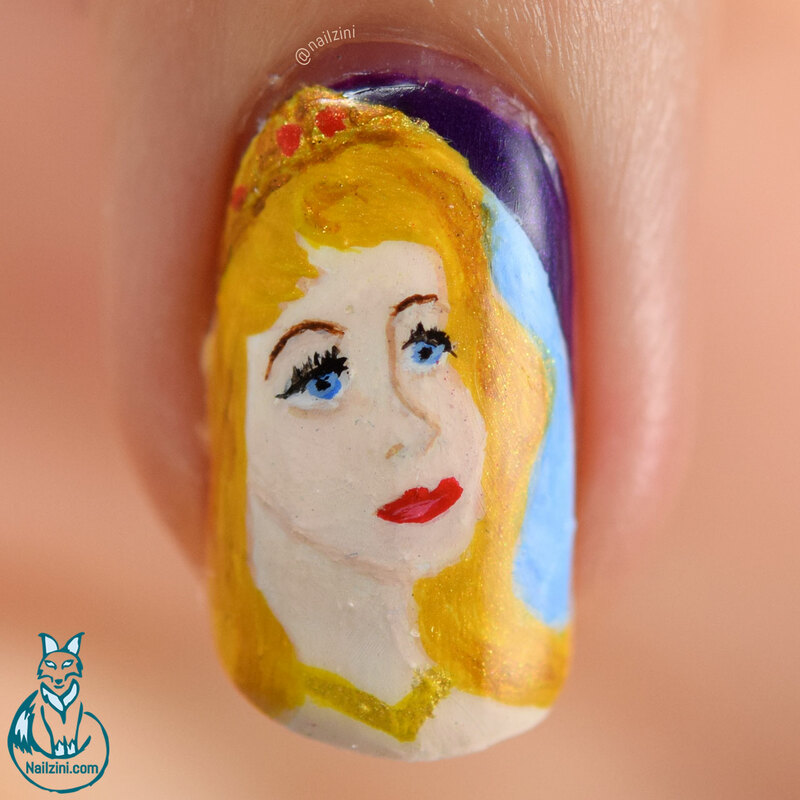 Then just stamp a couple times on your nail until you are satisfied with how it looks and apply a top coat. The swirls are hand painted using my 3/0 Raphael Kolinsky brush and a mixture of yellow and gold acrylic paint.